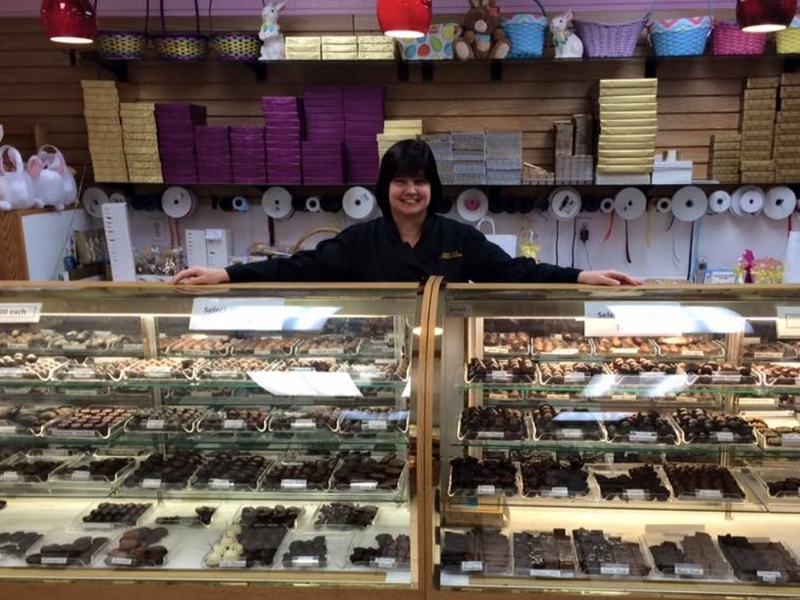 Founders Carol and Rob Cronin opened the Cape Cod Chocolatier in the summer of 2002. "Chocolate is a lot about nostalgia," Carol says. Rob has honored this sentiment with his recipes, which require the same tools candy makers have been using for generations: a copper kettle, wooden paddle and the finest ingredients. Carol and Rob's story began in 1983 when Carol's parents, who owned a French bakery in Pocasset, hired on a newly minted culinary school graduate, Rob. Carol was an apprenticing pastry chef there at the time, and little did she know she had met her future partner in business as well as her partner in life. For the next 20 years they continued on different confectionary paths; Carol's included decorating wedding cakes and designing gift baskets, while Rob's focused on developing expertise in the ingredient and supplier end, and experimenting with recipes on the side. These Cape Codders have pursued excellence in making hand crafted delights, and have shared the joy of chocolate with fellow locals and visitors alike. They have built their business around a coastal ethos: celebrate traditions, and make new ones with friends and family.